We sought to evaluate the frequency of anxiety, depression, PTSD, and any experiences of violence in women who had undergone Female Genital Mutilation/Cutting (FGM/C) and were seeking asylum in the United States. We undertook a retrospective qualitative descriptive study of FGM/C cases seen in an asylum clinic over a 2-year period. Standardized questionnaires provided quantitative scores for anxiety, depression and PTSD. Clients’ personal and physician medical affidavits were analyzed for experiences of violence. Of the 13 cases, anxiety and depression were exhibited by 92 and 100% of women, while all seven women screened for PTSD had symptoms. Qualitative analysis revealed extensive violence perpetrated against these women, demonstrating that FGM/C is only part of the trauma experienced. The high level of mental health disorders and endured violence has implications for providers working with FGM/C survivors and indicates the need for accessible mental health services and trauma-informed care. UNICEF. UNICEF data monitoring the situation of children and women. 2016. http://data.unicef.org/topic/child-protection/female-genital-mutilation-and-cutting/. Accessed 19 May 2017. UNICEF. UNICEF’s Data work on FGM/C. 2016. https://www.unicef.org/media/files/FGMC_2016_brochure_final_UNICEF_SPREAD.pdf. Accessed 19 May 2017. World Health Organization. Female genital mutilation fact sheet 2017. http://www.who.int/mediacentre/factsheets/fs241/en/. Accessed 19 May 2017. World Health Organization. WHO guidelines on the management of health complications from female genital mutilation. 2016. http://apps.who.int/iris/bitstream/10665/206437/1/9789241549646_eng.pdf?ua=1. Accessed 20 May 2017. 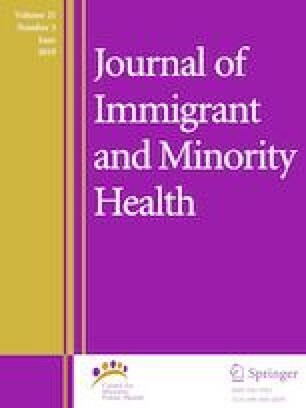 Mather M, Feldman-Jacobs C. Women and girls at risk of female genital mutilation/cutting in the United States. 2016. http://www.prb.org/Publications/Articles/2015/us-fgmc.aspx. Accessed 19 May 2017. Harvard Program in Refugee Trauma. Measuring Trauma, Measuring Torture: Instructions and Guidance on the utilization of the Harvard Program in Refugee Trauma’s Versions of the Hopkins Symptom Checklist – 25 (HSCL-25) and the Harvard Trauma Questionnaire (HTQ). 2004. http://hprt-cambridge.org/screening/measuring-trauma-measuring-torture/. Accessed 20 May 2017. United States Immigration and Nationality Act. https://www.uscis.gov/ilink/docView/SLB/HTML/SLB/0-0-0-1/0-0-0-29/0-0-0-101/0-0-0-195.html. Accessed 21 May 2017. World Health Organization. WHO guidelines on the management of health complications from female genital mutilation. 2016. http://www.who.int/reproductivehealth/topics/fgm/management-health-complications-fgm/en/. Accessed 3 Feb 2018. Sandalio RN. Life after trauma: the mental-health needs of asylum seekers in Europe. Migration Policy Institute. 2018. https://www.migrationpolicy.org/article/life-after-trauma-mental-health-needs-asylum-seekers-europe. Accessed 10 Feb 2018.